An English professor, shot dead in his office. His neighbor, a professor of mathematics, who discovered the body and called the police. And is the most likely suspect. Amazon.com , Amazon.co.uk , and Amazon.ca. A police detective, seemingly more interested in the apple pie at the local diner than in solving the case. A violent dispute over academic disciplines? Or something more prosaic, and more sinister? Discover the answers in this quirky murder mystery short story. 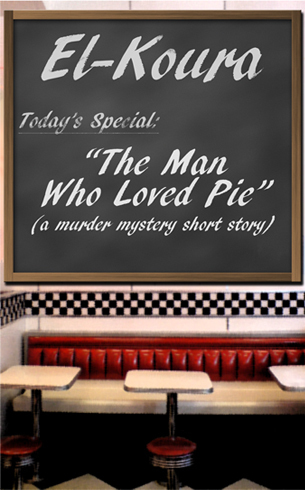 “The Man Who Loved Pie” was originally published in Issue 2 (September 2015) of Mystery Weekly Magazine.